It’s been more than a week, and I’m still smiling. Comedians in Cars Getting Coffee is a Jerry Seinfeld show that broadcasts via internet in 15-minute installments. 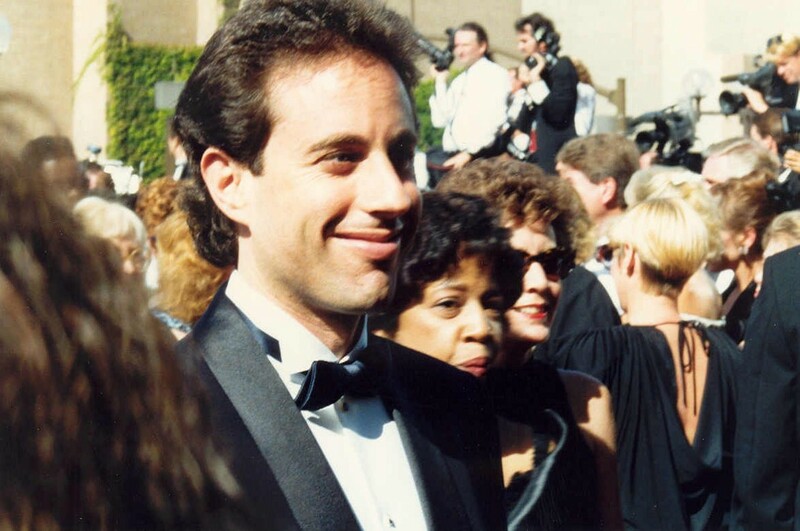 In each episode, Jerry gets into a sweet car, calls a comedian friend, then picks up the friend to go for a spin and a bite. All the while, we watch and listen to the comedians playing off of each other. The camera work and editing are fantastic. And as a humor lover, I’m hooked by the idea that I’m getting a glimpse into how these funny people think and interact. Even if it is rather staged. 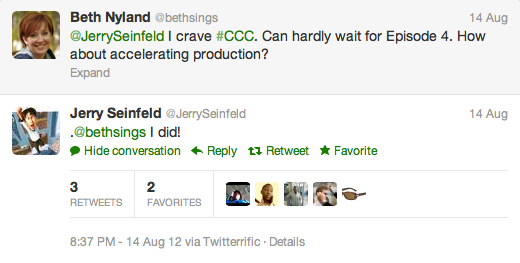 Jerry Seinfeld answered me! 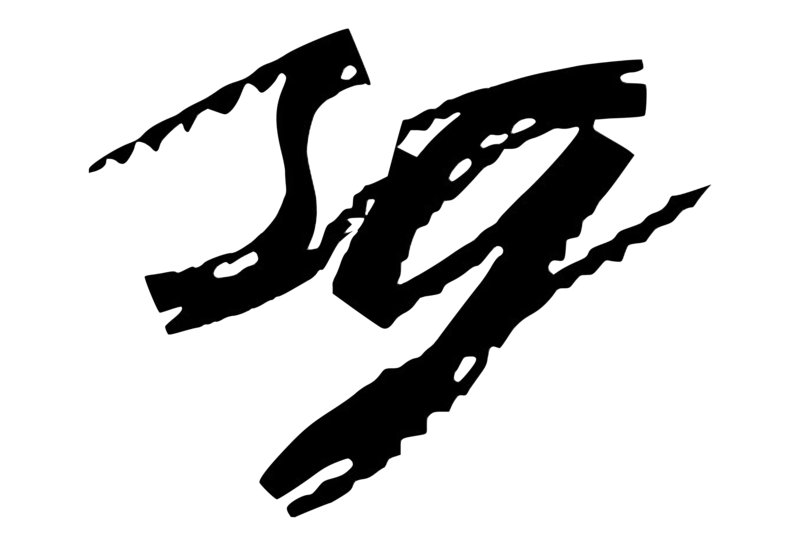 I stared at my screen, stunned and grinning. This leader of the comedy world “spoke” to me. Sure, it was just two words. But to me, it was a brush with greatness. I glowed. I’m still glowing. Yes, it could. But it could also be Jerry Seinfeld. Given the brevity of the message, and even the two-hour response time, I’m inclined to believe this exchange was the real deal. And, regardless of their doubts, everyone wanted to know more about the program that I found so entertaining I was willing to Tweet about it. Jerry and I had opened the door to recruit more viewers for his program. Technology allows leaders to personally interact with followers of all sorts, regardless of location or position. I see particular opportunities in internal communications, as organizations strive for greater “engagement” and satisfaction among employees. Imagine the CEO who reserves 10 minutes each day to scan the company’s Yammer feed and respond personally to a few posts. (Yammer is social networking tool enterprises use for internal-only communication.) Individuals who receive a response will bask in the personal attention, and other members of the community will buzz about the CEO’s remarks and presence in the employee network. Thank you for your time, for your honesty with me, and for your work today and every day. Such personal, two-way communications with a leader can create an after-glow in employees that surfaces as increased enthusiasm, engagement and maybe even productivity. And employees who experience this glow will talk about it with co-workers, family members, and friends. More than a week later, they’ll still be smiling. If you’re a leader—of an organization, a brand, an industry—are you using technology to personally interact with followers who may never see you in person? And if you’re a communicator supporting such leaders, are you presenting the business case and opening avenues for this kind of activity?